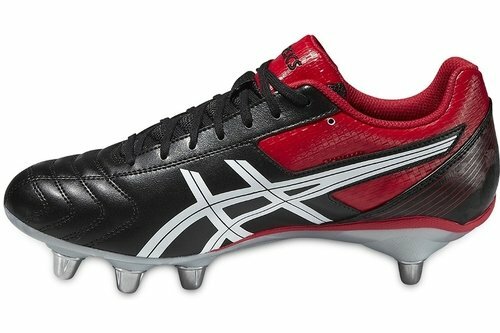 Take to the field in a pair of tough rugby boots built for hard tackles, tough matches and never-say-die players. Removable metal studs make for easy cleaning and customisable stud height for optimal grip and comfort. For stability and durability. Upper is glued to a thin fibre board, then cemented to the midsole. - SOLYTE MIDSOLE is a lighter weight midsole compound than ASICS' standard EVA and SpEVA. Also features enhanced cushioning and durability. - This 10 mm difference in height between heel and forefoot offers the best biomechanical position. This protects and enhances forward motion, and reduces load on the achilles tendons, calf muscles, ham string and back.